These crows are looking for something, almost anything, to eat in a pasture near Turbo, Kenya. April 2011. Being omnivorous is a survival trait for an animal that associates with omnivorous humans. Pied Crows are frequent in city environments and agricultural fields. Large numbers of Pied Crows often gather as night falls for communal roosting. 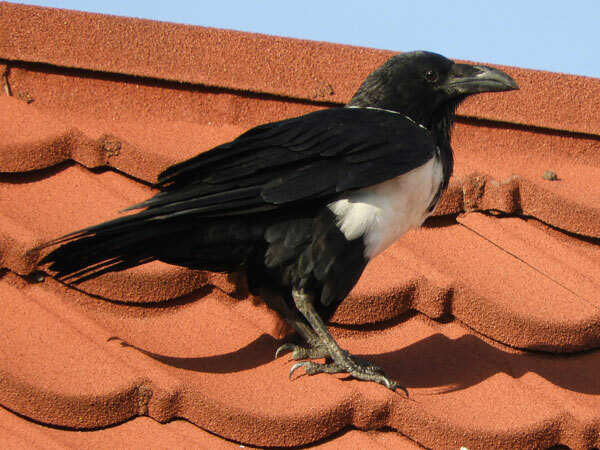 Pied Crows are very common from low to high elevations throughout Kenya.